“Due to water scarcity people in villages are uprooting themselves, leaving their homes, farmland and relocating in cities. Consequently population in cities is increasing beyond its capacity to manage such a crowd and farmlands in rural India are getting barren. This imbalance in the landscape is leading to global warming and climate change. It is serious matter of concern and it can be resolved slowly and gradually only when we conserve the water, land and forest. It is possible to restore the lost balance only with the involvement of youth of India,” insists Dr. Rajendra Singh, Waterman of India. 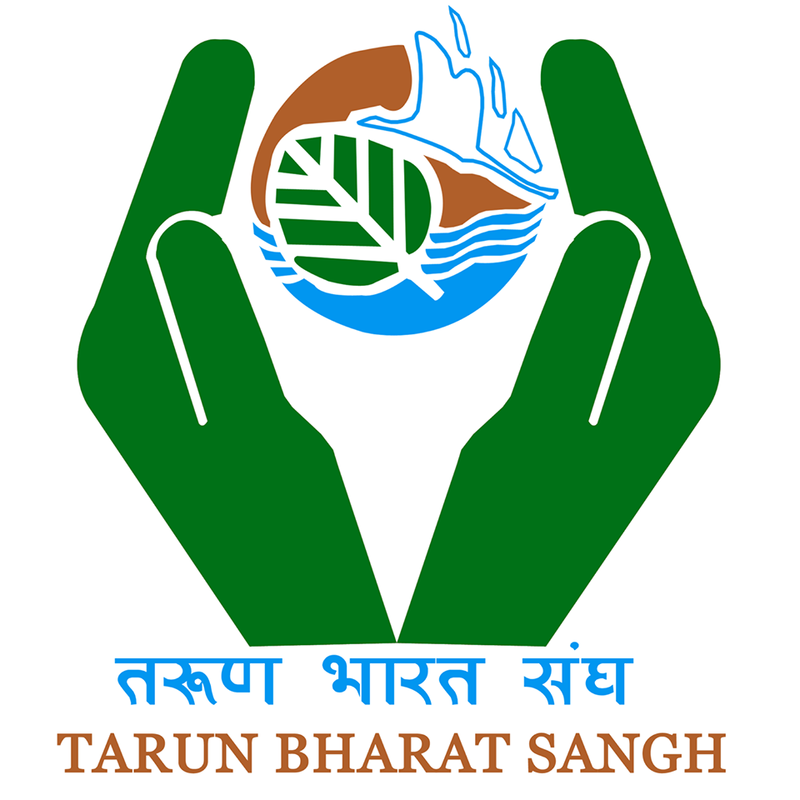 Tarun Bharat Sangh implies Youth India Association, is working across the country to conserve the nature. Our entire trained workforce is selflessly committed to preserve forest, land and water for safeguarding the nature. Since last 35 + years we are tirelessly working on recharging the ground water aquifers and securing the water resources in villages. Primarily we train youth all over the country residing in the regions that are under the dry spell such as Maharashtra, Rajasthan, Karnataka, Andhra Pradesh etc. Post training, these youth return back to their villages and apply the learnt knowledge to restore the water bodies. We always remain in touch with them and extend the assistance as and when required. In this way lakhs of ‘Taruns’ youth are working with us on water conservation and to bring back the natural splendor of our villages throughout the country. As a nation we faced and are facing water scarcity issues because rainwater flows from the land leading to soil erosion and silting. To prevent flowing off rainwater we need community driven de-centralized water management techniques to be implemented in every Indian village that keeps water full below the land and also provides sufficient water to fulfill the water requirement above the land. At TBS we consider senior most farmers in the village as the bank of indigenous knowledge on water management so we have utilized the same knowledge to recharge the groundwater. In all our water management projects the main aim is to direct the rainwater to seep inside the ground and minimize the evaporation. 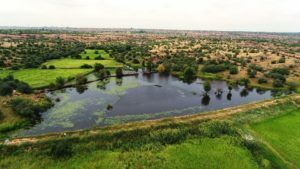 To do so we construct the rainwater storage structures at the right location thereby site selection is one of the most important factor of consideration. Site selection to construct the rainwater storage structures is done based on agro ecological climatic diversity and geo hydrological framework. The land has some ligaments/fractures that allow the water to percolate below the ground. We identify these fractures, dig the narrow paths to direct the flow of rainwater and recharge the underground aquifers. Similarly storage tanks, streams, check dams are also constructed after the appropriate site selection. We work on hundreds of designs for water conservation structures depending on the village landscape. Apart for these rainwater harvesting techniques, water conservation largely depends on desi cow based farming practices. Without desi cows we can never conserve water therefore it is mandatory for all Indian villages to secure their local breed of cows. TBS has dedicated itself to improve the desi breeds of cows of our country. Bharat was blessed with more than 7 lakhs water bodies along the length and breadth of its geographical boundaries however post independence we lost majority of it due to negligence of Government towards maintenance of the same. Further even after orders on reviving these water bodies from the Supreme Court four years before there is not much work done in this regard by the Central and State Government! As situation is critical we can expect Taruns of our nation to bring the desired transformation and I am extremely glad to share that they are doing remarkable job. 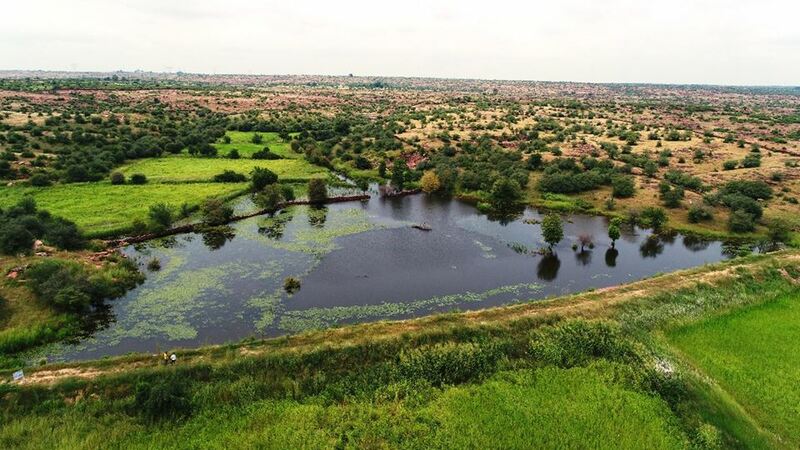 With the collective efforts, TBS team has been able to revitalize 11 rivers in three states namely nine rives in Rajasthan, two in Maharashtra and one in Karnataka. Using these well studied and well researched techniques TBS team have successfully constructed 11800 water bodies in different states to recharge underground aquifers. 2.5 lakh wells in Rajasthan are once again filled with water. Reverse migration is taking place that is people are moving back to the villages from cities to resume their duties. These achievements are extremely encouraging and we will continue to work in the same way. 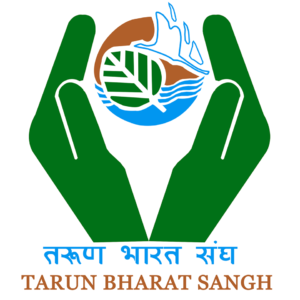 Climate change adaptation model crafted by TBS is unique and it has been successful in conserving our water, land and forest. We are happy to share this model with everyone and train youth of the country. So far TBS has been able to attain the remarkable goals due to and conviction of sincere work of lakhs of Taruns associated with us. Jai Hind!